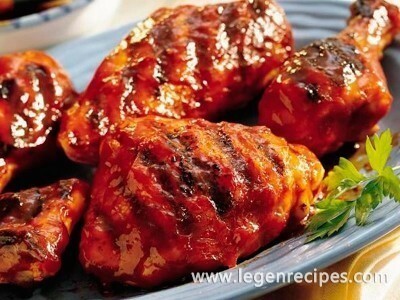 Liver chicken: salad recipe with vegetables. Don’t know how else you can have a tasty and interesting way to cook chicken livers? 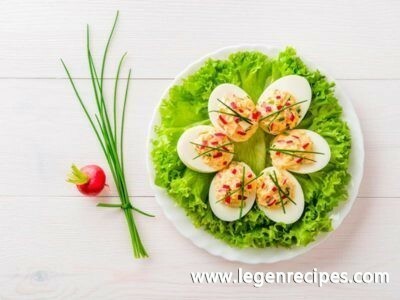 Recipe spicy salad is probably more to your liking! Many Housewives are accustomed to fried chicken liver with onions, cook the pate or liver cake. This is undoubtedly the most famous and tasty traditional snacks from the liver. 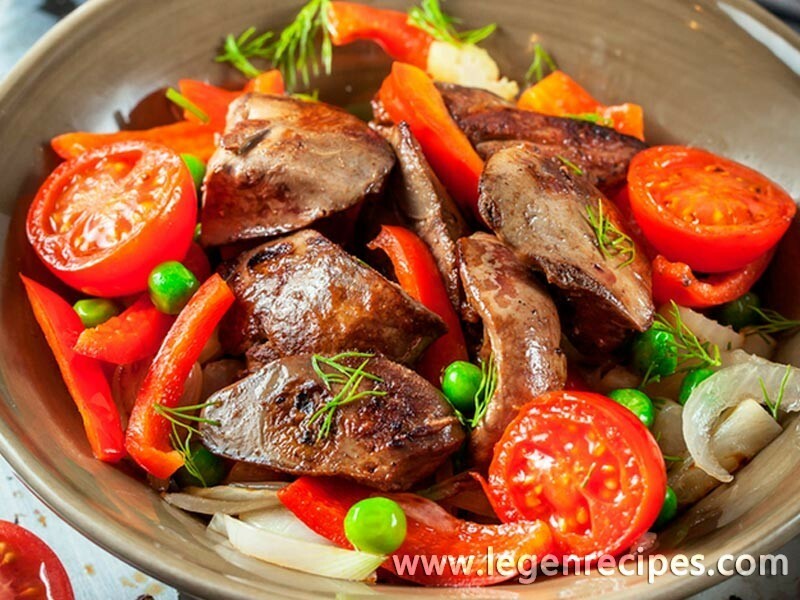 But if you’re looking for something original and want to try a new flavor, prepare a salad of chicken liver. This salad looks bright and festive, and the taste combination of chicken liver with vegetables turns out juicy and fresh. Chicken liver boil in salted water with the Bay leaf and allspice until tender. Dump the water, chicken liver let it cool and coarsely chop. Tamarinus bow. 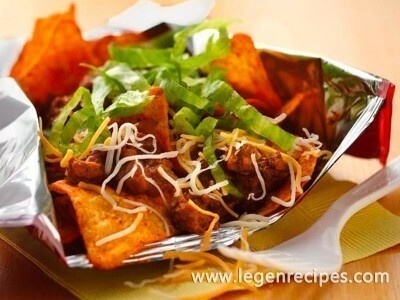 To do this, cut it in half rings, add sugar, pepper, salt and vinegar. Stir and leave for 20 minutes. Cherry cut slices. Bell pepper cut into strips. Pickled cucumber also cut into strips. Grind the dill. With green peas, drain the liquid. Put all the ingredients, salt, pepper, fill with vegetable oil and give the salad to infuse for 10 minutes. Give the chicken liver salad as a separate dish or with boiled potatoes or rice.